My moebius Roam Cowl was just published in Knitscene Accessories 2012, and I couldn’t be happier with the beautiful styling and photography. It’s knit in String Theory Caper Sock, in the lovely Oban colorway which threatens to make an orange-lover out of me. The infinity scarf is cast on at the center using Cat Bordhi’s brilliant Moebius CO, then knit outward round and round to the bound off edge. As is typical with me, I planned it to use almost every last bit of one skein, because I’m all about maximizing value per yard. Originally I called my prototype Rome Around, because it uses the reversible Roman Stripe stitch pattern, and I like wordplay. I also like the Black Tulip colorway that I first used. But surprisingly, I find myself wanting to knit something else in the warm, mellow whiskey tones of the final sample. Techniques & Skills Used: moebius CO, knitting in the round, lace. Size: 46” circumference and 10” height. Yarn: String Theory Hand Dyed Yarn & Fiber Caper Sock (80% Merino, 10% Cashmere, 10% Nylon; 400 yards/113g); 1 skein, shown in Oban. Other Materials: US 6 (4mm) 40” circular needle or size to match gauge; Stitch markers (1); Yarn needle. Gauge: 14 st and 35 rows/4” in Roman Stripe stitch pattern. Gauge is not critical for this project, however a different gauge may result in a smaller or larger finished cowl, and different yardage requirements. Knitscene Accessories 2012 is also available for digital download, or you can buy Roam as an individual pattern. This cowl is absolutely beautiful. 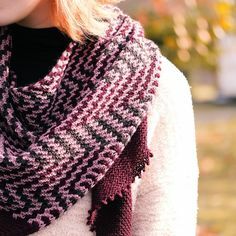 The stitches/pattern make it so very pretty and the Oban colorway makes it warm as you mention. I, too, am becoming more of and orange/marmalade color lover along with anything that is blending well with browns–which is so surprising as blues of all shades are my very favorites. Looking forward to payday to purchase the pattern and yarn. Keep up your awesome creativity! Is it possible to purchase just this pattern or do you have to buy the magazine? Never knitted a Mobius but have TONS of sock yarn and this this is awesome looking! Hi Sharon; You can buy just the Roam pattern as an individual download from Interweave; I’ve added the link at the bottom of the blog post. 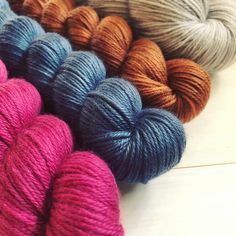 saw your pattern in knitscene and loved it — not sure i want to do it as a mobius — how would you suggest doing it in the round — at some point there looks like there will be two YOs together ( one at the end of round and one at the beginning) – any problems with this? Hi Diane! I would say just use your favorite regular cast on, and join to knit in the round. At the end of round where there are the 2 YOs, just be careful to keep the marker between them, and treat them separately. Glad you like it! This is so clever I’m hooked – Currently knitting in a warm spicy colour. Love The aubergine colour- Black Tulip. I’m in New Zealand so having to adapt the yarns available locally. So I’ll check what I have in my stash… Thank you for the brilliant pattern.